At CVN Print, South Shields our Pavement signs range are just one signage option we can offer to your business. They are typically placed outside your place of business in a pedestrian area to direct people towards your premises and let them know about your business and any offers or promotions. 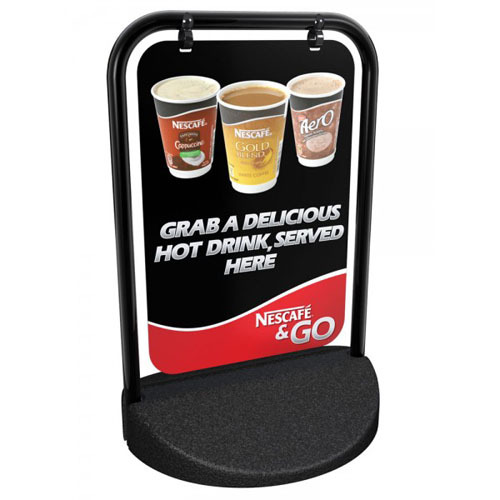 Pavement signs are available in many different styles including A Boards, Chalkboard Signs, Swing Board Signs and weight-based Forecourt Signs. Fixed and swinging options are available too, and some pavement signs are customisable with the option to add a business logo to re-enforce the brand. The right one for you depends on how you want it to look and the purpose you intend to use it for. Pavement signs are ideal for use in outdoor environments. They can be placed outside your business premises or in a busier area to direct people towards you. They are available in heavier, weight-based signs are ideal for use in exposed areas where they are susceptible to large gusts of wind and heavy rain. Other lighter options are better suited closer to you place of business where they can be quickly retrieved when necessary. What Can I Use Pavement Signs For? There are many uses for pavement signs. They can be used to simply direct people towards your place of business, an ideal solution for retail stores and restaurants that are located away from main thoroughfares. Share current offers and promotions to entice new and existing customers into your premises. Pavement signs can be a great tool for growing your business. A one-time purchase, they are a great cost-effective investment and can be used time and time again as the information you display on them changes. 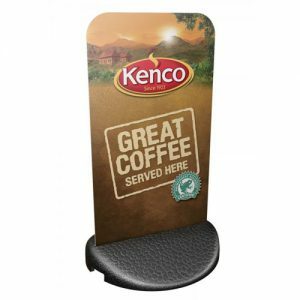 They are ideal for bringing new customers into your store, but equally as effective at displaying messages to existing customers and letting them know about any special promotions you might have. The portability of pavement signs lets you take them to events too and direct people towards your exhibition stand. All in all, they are a worthwhile investment for any type of business. CVN Print offer a wide range of pavement signs.